Adventurous Feet: Win Lotus Biscoff Creamy Spread from Finderskeepers! Win Lotus Biscoff Creamy Spread from Finderskeepers! Finderskeepers is giving away Lotus Biscoff Creamy Spread for free! Biscoff Spread is the irresistible, spreadable treat made from Biscoff Cookies. You will love this sweet, creamy, spread as an alternative to nut butters and chocolate spreads. It’s the only spread made with original Biscoff Cookies. A great treat for everyone! Biscoff Spread is made with Original Lotus Biscoff Cookies. The main ingredient is Biscoff – made with over 57% Biscoff cookies. It has a creamy and smooth structure with consistency of peanut butter. It is free of nuts! Our friends from Finderskeepers import in demand and unique products not readily available in the Philippines and sell to Philippine market. They aim to provide honest to goodness, great things we need or want! Chia seeds reduce food cravings, help you stay hydrated, lower blood pressure & are rich in Omega-3. 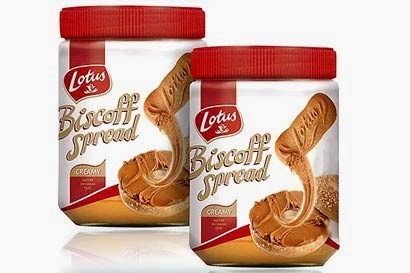 Five lucky winners will win 1 Lotus Biscoff Creamy Spread each! You can earn raffle points by doing the following. Kindly use Rafflecopter below to join. "Adventurous Feet and Finderskeepers are giving away Lotus Biscoff Creamy Spread to five lucky winners! Read here to join: http://www.adventurousfeet.com/2013/11/win-lotus-biscoff-creamy-spread-from.html #finderskeepers #finderskeepersPH #biscoffcreamy #biscoffSpread"
Residing in the Philippines only.